If you’re like me, discovering insights in a wall of numbers and letters and filenames can be so rewarding. And sometimes, the datasets are also so strange that they leave you dreaming about them later. My weirdest data experience to date is reviewing loss runs (claim data) for an aging amusement park. Gruesome records. What’s yours? Statistics about the 2016 U.S. National Election are out there, often contradicting one another. What does Nate Silver think today? Which states are “going purple” this cycle? Whether you’re just keeping an eye on the main Clinton-Trump contest — or loving the challenge Johnson and Stein are putting up with their 3rd party candidacies — it’s hard to find objective sources that aren’t trying to spin the results. http://www.270towin.com has been doing a great job of aggregating results by state, and you can select different options such as the breakouts for the third-party candidates. Which poll sites are your favorites? And my nomination for the United States town with the coolest street addresses is Plato Township, Illinois. They have alphanumeric street numbers! What are some other interesting address towns whose data you’ve worked with or in which you’ve lived? Whether the fundraising event has web-based solutions like BiddingForGood and Greater Giving, or a simple spreadsheet or collaborative GoogleDoc, your committee can take an analytical approach to planning, budgeting, and executing an auction that then gets progressively more successful every year. Injecting some “data thinking” into the auction only works with the right buy-in from your fellow organizers, and it may take a meeting or 2 to convince them to test and experiment this year. a. Tickets sold and comp tickets — the relationship between price(s) and attendance over time. b. Anything that allows you to segment and analyze the behaviors of the attenders and bidders (e.g. Where there more couples or families or single attendees? How many teachers brought guests? What was the average spent and donated by each segment? How many people gave to the event without buying a ticket? d. What are the time sinks and are they worth keeping? Which elements take the most time to plan, set up, and man during the event? Are those producing the highest yield? What haven’t we tried yet (and be sure to check in with administration in case some things aren’t allowed, e.g. casino games for a Quaker school)? e. Are the sponsors being appropriately leveraged? If you have a sponsor who does graphic design and you usually ask for a $100 donation, would they be willing to design some materials for the event? Would a parent whose social media marketing business usually donates time to making decorations be willing to instead donate in-kind services like a 2-week social media mini-campaign for promoting the event this year? If you’ve had successes applying your nerdy data mindsets and systems thinking into volunteer work, please share your ideas in the comments. Can the trendy bullet journal move us away from just tracking our steps? Ever since the “BuJo” has taken off as a 2016 trend, I’ve been curious about where journal-keepers would take its graphing and data tracking elements. Will this feature of bullet journals be a carryover of the quantified self metrics we track electronically such as sleep patterns, physical steps, number of exercise sessions, diet? Or can the bullet journal’s data sections capture something even more profound, intimate, and with the potential for progress with emotional health, friendships, career success and change, and/or social good? The promise of the bullet journal is its privacy—“hacking” a paper journal seems harder than having an app or web journal accessed these days—and it takes competition and gamification/marketing out of the equation. If you can track something about your life and know that the accuracy and uses of those data are yours and yours alone, there are so many directions to take that power. Which metrics are you considering or already tracking in your bullet journal? Have you decided to share your bullet journal with other people to stay motivated on goals, or does the tactile/private nature of the practice appeal to you? I’m trying to use less water, so I track whether my showers are completed under my sand timer’s deadline. And I’m also trying to justify to myself how much I spent on a folding Oru Kayak, so I track cost per paddle. 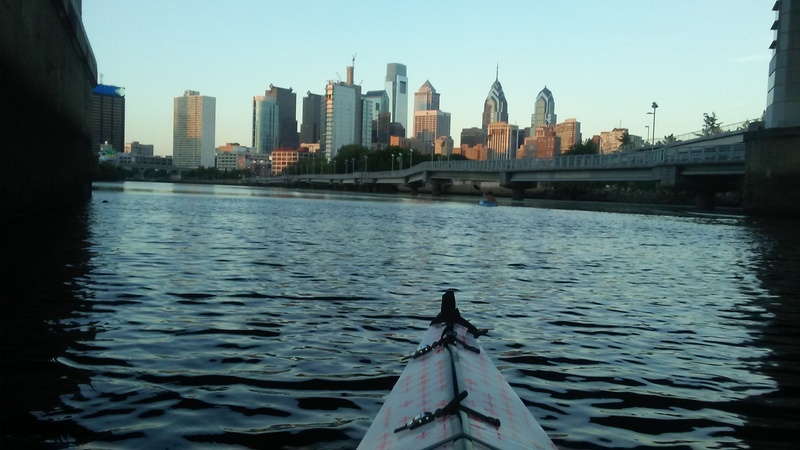 Philadelphia by boat, August 2016. Peace Data LLC brings peace of mind to our clients’ operations while helping groups that are building a more peaceful world. Five percent of our gross sales goes to peace organizations. From her ongoing work with the fantastic B-corp startup Recyclebank, Peace Data’s founder, Bonnie Ehri, has embraced the concept that companies can do well AND do good at the same time. Click on “Services” to learn more about how Peace Data can help grow your business.